Bayer has confirmed that Sanofi’s justification for the controversial starter package it is giving to the German firm’s Olivier Brandicourt is correct. Brandicourt, who is leaving his position as head of Bayer’s healthcare division to become chief executive of Sanofi, will receive a ‘golden handshake’ of around $4.5 million from the French company, due when he starts the job in April. Sanofi’s justification for this high amount is that it is equivalent to the benefits Brandicourt would have received at Bayer over this time – and at a Bayer financial results conference yesterday, its chief executive Dr Marijn Dekkers confirmed that this was indeed correct when quizzed. The French government, which has set limits on executive pay, has harshly criticised the compensation package. 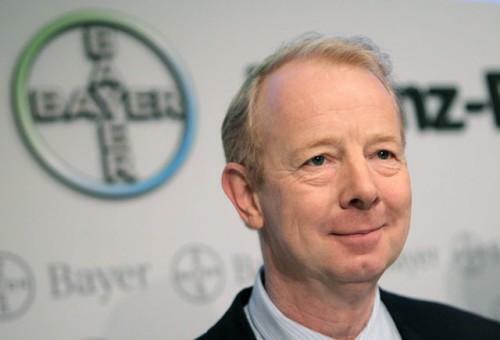 At the conference, Dekkers was also asked whether Brandicourt’s departure after only 15 months at Bayer would have any effect on the firm’s plans to become a pure life sciences company – which Brandicourt was a key part of. Dekkers was humble about the departure, though: “We were very pleased to be able to recruit Mr Brandicourt 15 months ago from Pfizer. He came with a tremendous track record, and we’re also very sad to see him leave. Brandicourt will replace Sanofi’s previous chief executive Christopher Viehbacher, who was ousted from the company in October last year following conflicts with the board of management and amid a lack of growth in its diabetes business. He is due to start in April. The salary of another pharma chief executive, GSK’s Andrew Witty, has also been in the spotlight recently. His compensation has been reduced from £7.2 million to £3.9 million and his bonus cut by 51% following the company’s disappointing 2014 financial results.